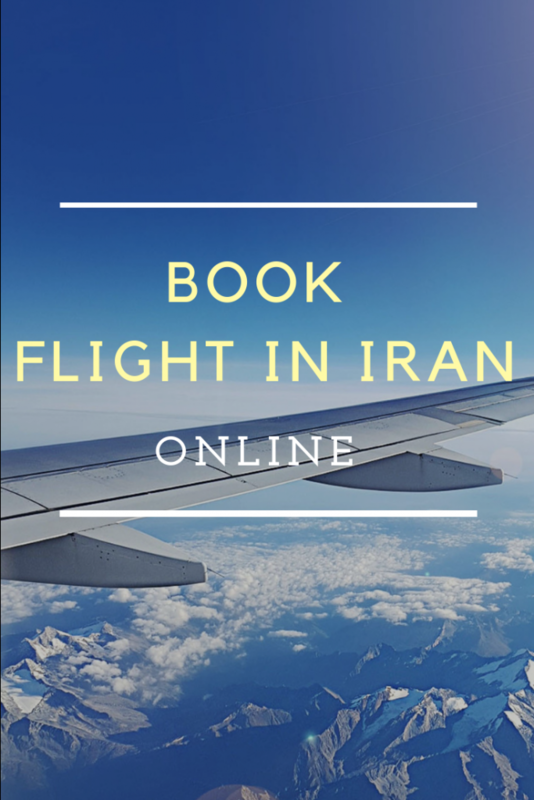 Tehran, the capital of Iran, welcomes the world to marvel at its impressive arts, palatial architecture, beautiful mountains, and fine dining. As with any travel destination, an issue travelers face is choosing the right place to stay. Fortunately, Tehran is home to its share of amazing (no exaggeration) accommodation options to choose from. 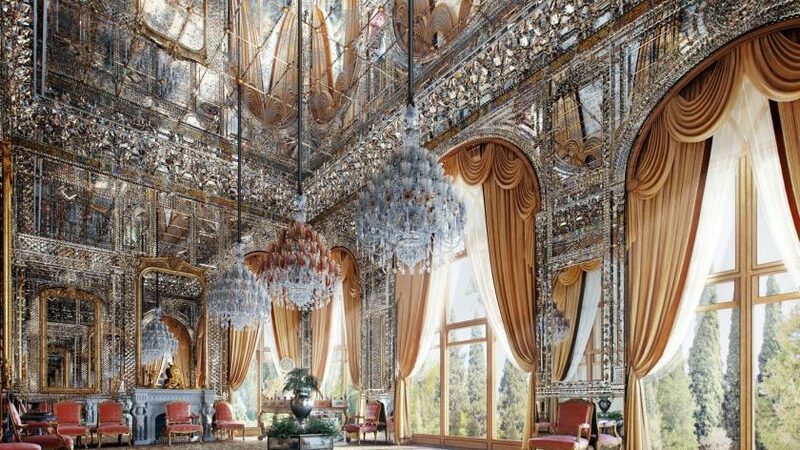 We have highlighted the best, luxury hotels in Tehran, just for you! Without further ado, let’s check it out! 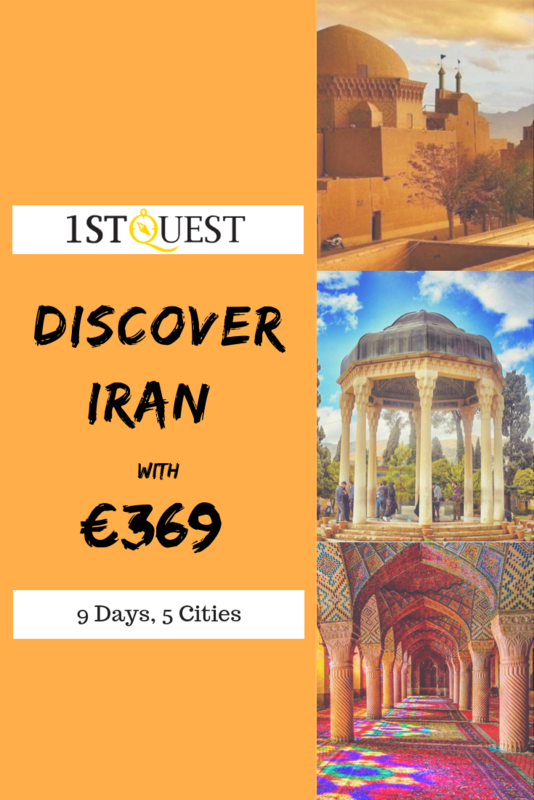 You can book any of these Tehran hotels online with 1stQuest.com. 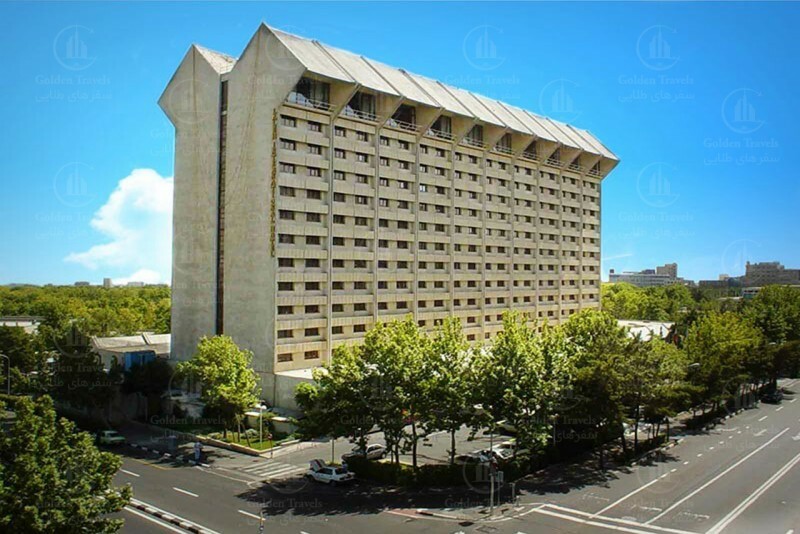 Located on the northernmost part of Tehran, Espinas Palace is a 5-star hotel which stands in the best residential and commercial part of the capital. The hotel mixes the best of contemporary modern comfort with a spectacular taste for the past. The hotel’s building is one of the most iconic architectures in the city which features great public spaces, comfortable bedrooms and a world class lobby. Guest can enjoy unlimited Wi-Fi during their stay. This 550 room hotel offers a unique feel at home atmosphere. Looking for luxury accommodation with top-notch amenities? Look no further than Parsian Azadi Hotel. Each 475 room and suites are clean and fully equipped with amenities such as A/C, television, comfortable bedroom, showers and many more. Its strategic location in the heart of the city makes the hotel an ideal accommodation option for tourists and business travelers. In the event that you are planning a conference, meeting or event, Parsian Azadi Hotel has a convenient meeting and conference rooms for holding your meeting. What’s more is that the hotels are only a few walking distances away from the Tajrish shopping center and Enghelab Sports Complex. 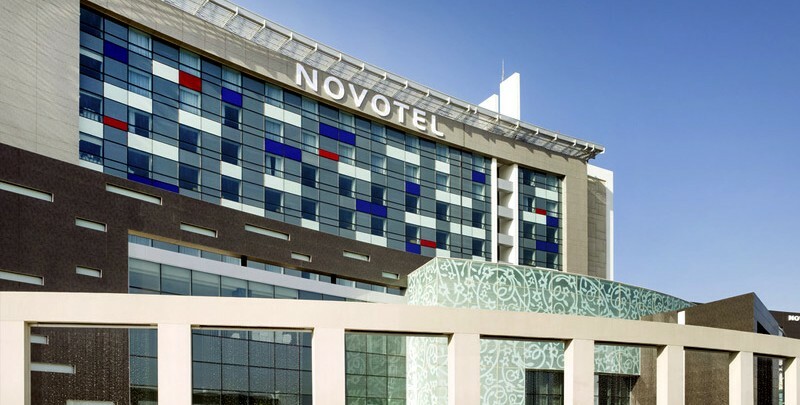 If you’d like to stay in an accommodation option close to the Imam Khomeini International Airport, then your best choice is the Novotel Hotel. Book a stay in this hotel for a home away from home experience. Guests enjoy free breakfast. Hold a conference in the well-equipped meeting room. Increase your fitness level by hitting the gym. After a hard day exploring all that the capital city has to offer, return to your hotel for some pampering at the spa center. Fine dining experience awaits you at the on-site restaurant which serves delicious Persian and eastern cuisine. 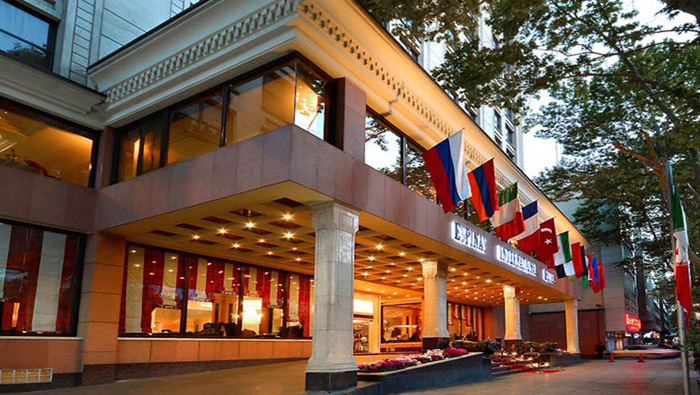 Located in the city center, Grand Hotel is ready to host guests with its outstanding amenities and friendly services. The four-star hotel has proximity to the international airport as well as the best attractions in the city center. There are a lot of dining options nearby, and it offers easy access to public transport. The 221 room hotel has been divided into two categories – Deluxe rooms and Standard rooms. You have the option to choose either twin or double beds. Multilingual staffs are available 24 hours a day to meet your needs and demands. 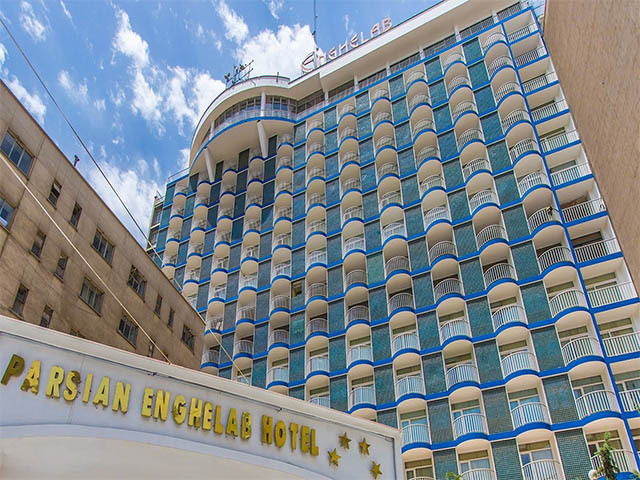 The Parsian Enghelab hotel is a luxury 4 star located centrally located in the capital city of Iran. The hotel boasts 15 floors all fully air-conditioned. 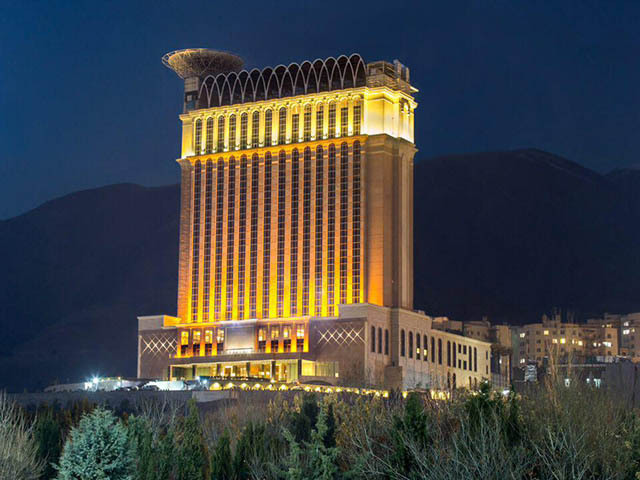 The top floor of the building houses the first “Revolving Restaurant” in Iran. While at the top you can enjoy the stunning view of the Alborz mountain range. The hotel offers about 250 rooms with each featuring bathroom with shower and hairdryer, satellite television, balcony, minibar, and telephone. The hotel rooms are divided into several categories namely, Royal Suites, Normal Suites, Luxury Double Rooms, Luxury Twin Rooms, and Luxury Single rooms. 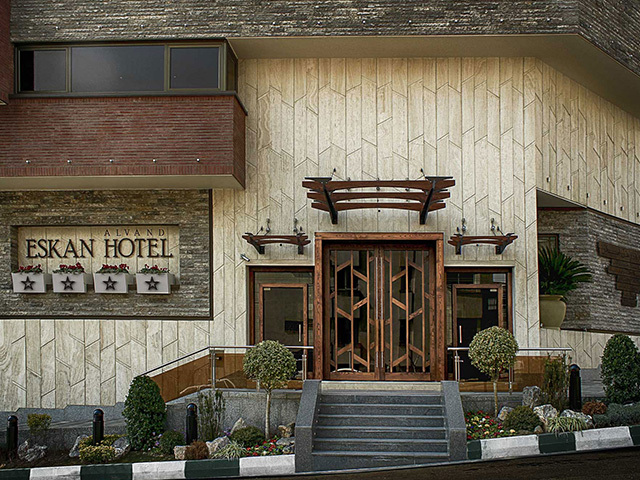 Nestled on a serene and highland region of Iran’s capital city, the Eskan-Alvand Hotel offers guest a chance to enjoy panoramic views of the city. It also offers easy access to downtown, shopping centers, and other top attractions. The hotel opens its doors to travelers looking for a fantastic place to stay with the best possible facilities. The atmosphere is serene and calm. With its many years of experience in the hospitality industry, the hotel was granted the Certificate of Excellence from Trip Advisor in 2014. Eskan-Alvand Hotel features single, double, twin, king rooms and spacious suites with great amenities that guarantee a comfortable stay for all. Get ready for a remarkable stay at Ferdowsi International Hotel in Tehran. Established in 1989, the hotel was renovated in 2018 in order to give it a facelift and modern look. 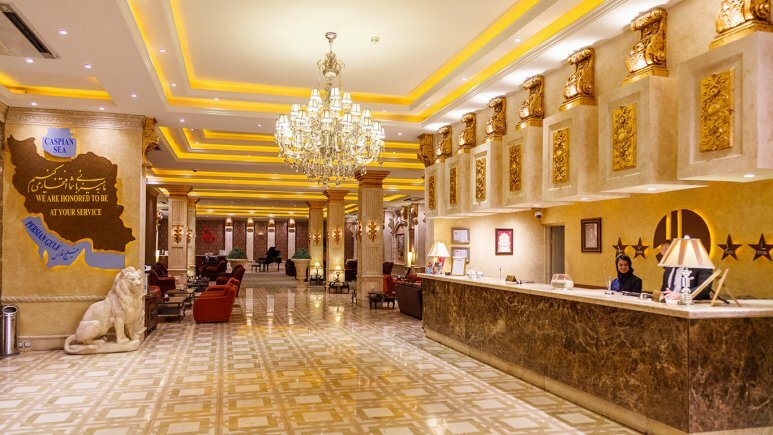 Located at the cultural center of Tehran, the hotel is just a short walk away from National Museum of Iran, Golestan Palace, and Park-e Shahr. It has about 220 rooms arranged over 6 floors and a 24-hour multilingual staff. Sleep in comfort in your beautifully designed rooms, furnished with traditional rugs that will catch your fancy. 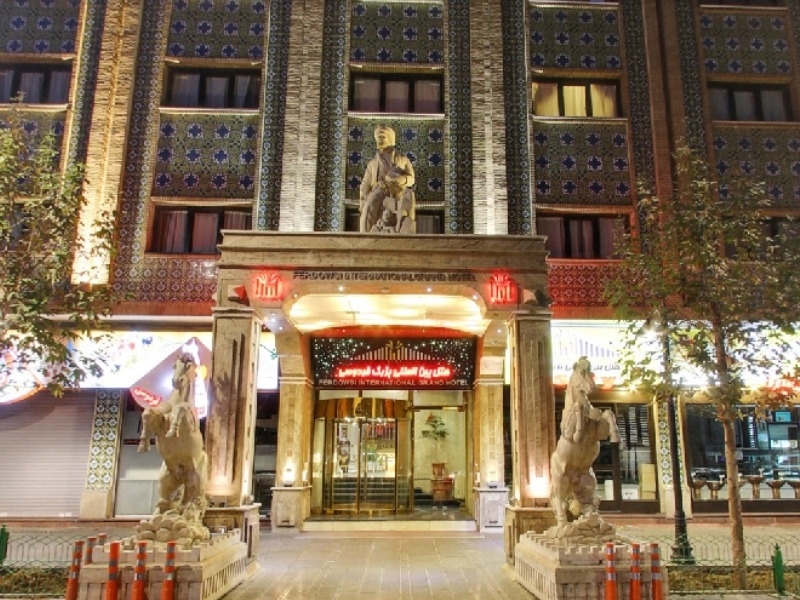 If you’re interested in history, Ferdowsi International Hotel is the place for you. 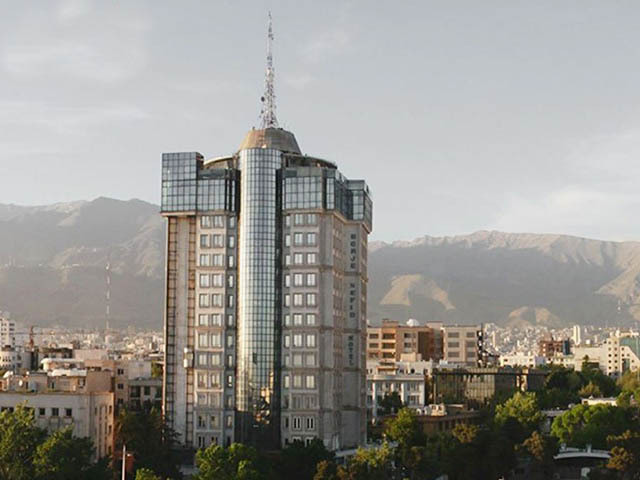 Located in the northernmost part of Tehran, Borj Sefid Hotel is a four-star hotel with 15 rooms arranged on 2 floors. From the hotel, you can enjoy great views of the surrounding areas and more importantly Alborz mountains. The hotel offers 4 types of luxury suites including Royal, Senior, Junior and VIP suites. Each room is spacious and are uniquely designed to provide guests with a home away from home feeling. 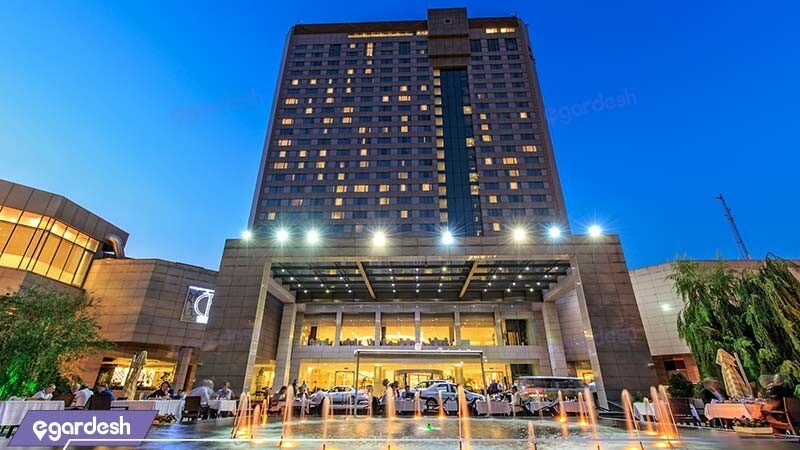 Espinas Khalij Fars is a 5-star luxury boutique hotel located in the heart of Tehran. 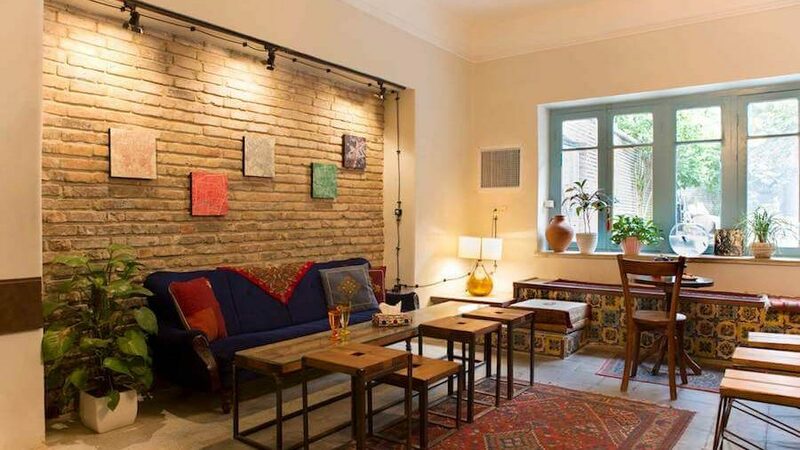 The hotel provides guests with easy access to popular tourist spots and transport stations including the Valiasr Square train station, Carpet Museum, City Centre, and the National Jewelry Museum. Despite its location in one of the busiest parts of Tehran, the hotel features a calm and peaceful atmosphere. In addition to its beautifully decorated rooms and first-class services, Espinas Khalij Fars also serves authentic Persian Food. Hi, thanks for introducing, is it possible to book these hotels online? Hi Joana, Yes you can book each hotel that you want through 1stQuest online and easily. Wow, such beautiful hotels, hope to stay at Espinas Palace one day! Hi Sonia, Where are you from? we will be so happy to have you in our country. How is the booking process for these hotels? is it totally online? 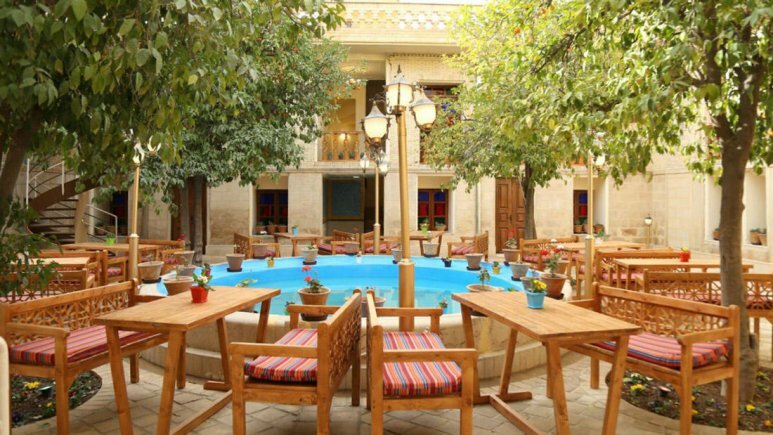 I visited Tehran once, there were lots of lovely cafes in Tehran, I enjoyed the atmosphere. Hi Jessica, yes You will find fascinating and exciting Cafes all over Tehran. Hi Daniel, glad to hear that. Hope to travel to this beautiful country soon!